We Make Mistakes So You Don't Have To! and the gross mismeasurement of their dimensions. So you see - not very difficult to make, eh? You can literally make them by accident. already have a pair of shorts and a skirt. only a 1/4" seam allowance at the top instead of 1 1/4". make an elastic casing for this pair of shorts. I finished the leg hems but not the waist hem. classic gathered skirt is made from a single rectangle. I finished the bottom hem but not the waist hem. waist to match the skirt's waist. Let's get started, finally, shall we? Turn the shorts inside out - this is important! Even if it is counter-intuitive. This is what cost me an hour of seam ripping yesterday. Insert the shorts into the skirt. Line up their waists and pin the two layers together at the side seams and the center front and back. 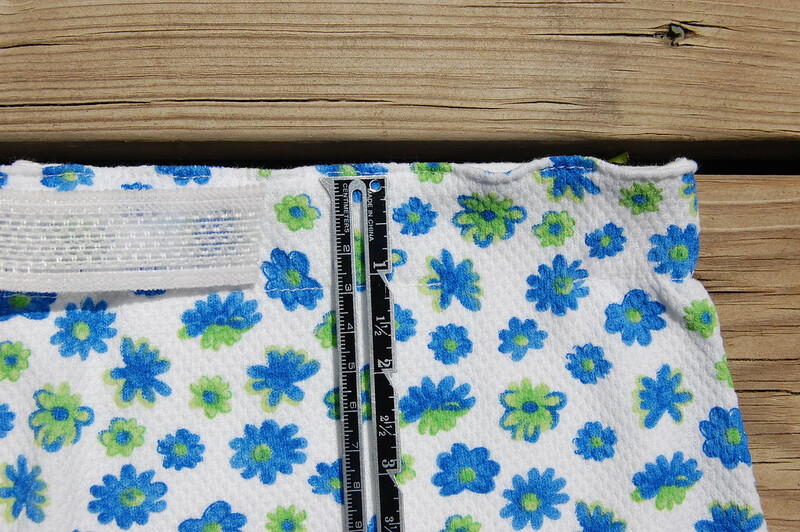 Using a 3/8" or 1/4' seam allowance, sew all around the waist to join the skirt to the shorts. 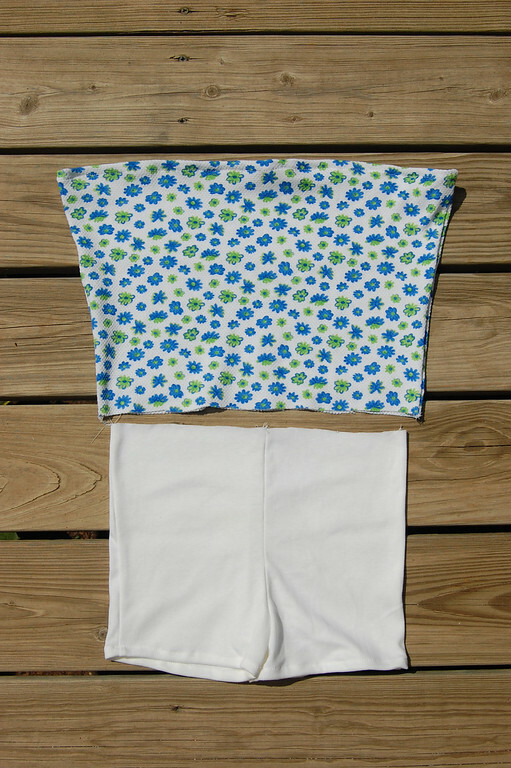 Stretch the waist of the shorts to fit the skirt as you sew, if necessary. Turn the entire garment right side out (so the shorts are inside). Top-stitch close to the top of the seam. Measure 1 1/8" from the line of top-stitching and sew another row of stitches all around waist, leaving a 2" opening for inserting the elastic. 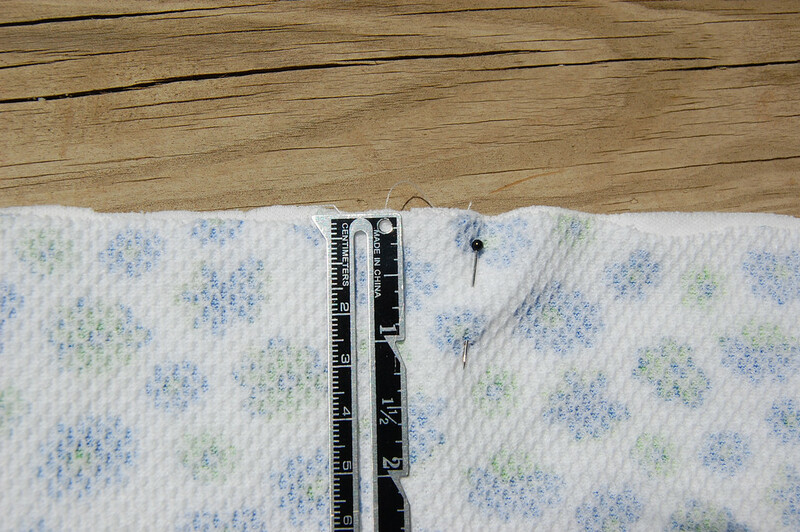 In the picture, you can see the top-stitching and the elastic for width-reference. 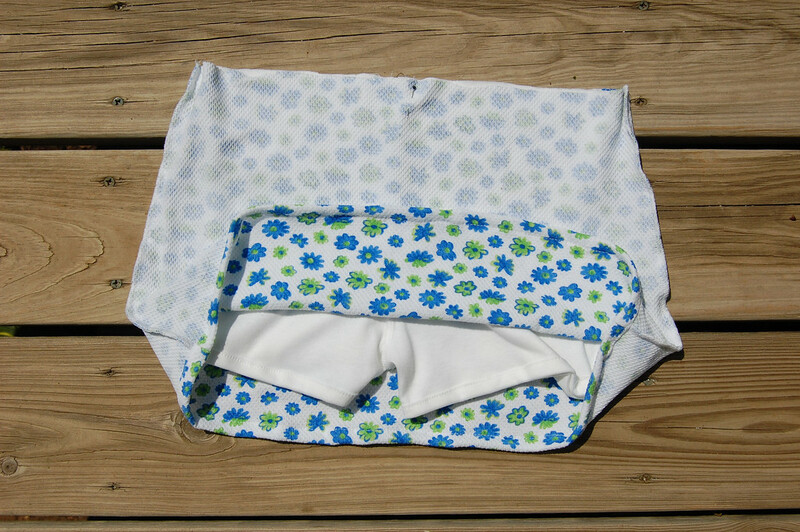 Insert elastic (measure around wearer's waist for desired snugness) with safety pin. Sew ends of elastic together. Sew up the 2" opening. Voila! Skorts - the miraculous 2-in-1 modesty garment. in the Summer Dresses coming up next! I'm right there with you....I just recently put my recycled t-shirt skort pattern into an ebook....it was the most frustrating pattern I've dealt with....but I love it now and so do all my friends. 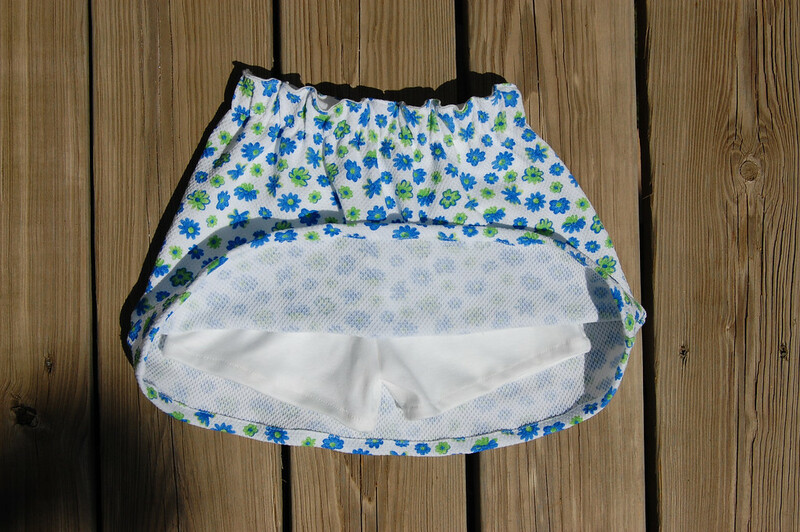 Once my daughter got too big for bloomers the skorts became a necessity! I'll have to try your pattern now! Why have I never thought of sewing my own skorts? Add it to the project list! Wonderful tutorial, we are thinking of trying it! You mentioned a knit fabric...what kind of knit is it? We've been to the 3 fabric stores in our area and can't find any knit that isn't solid. Where do you find your fabric? Shannon: I buy my fabrics from several different local stores - JoAnn is an old reliable in general, but they don't have a lot of printed knits. Most of my printed knits are from Mill End Textiles which carries brands like Oshkosh prints. But you can always use regular non-knit/non-stretchy) fabric for the outer skirt if you wish. There is a lot more choice for great prints in those! Skorts are an adorable idea and I love the oceany colors! I really love this tutorial (and your blog) - thanks so much for posting it. I'm just starting to get into sewing for my daughter and it is sooo addictive. How hard it is to sew with jersey or any other knit or stretchy fabric? Also, can one get good results sewing with those fabrics even without a serger? Step 1, "turn the shorts inside out". I would have done the opposite but after reading through your tutorial and viewing the photos I get it! Thanks you saved me and hour of pulling out stitches. What a great idea. 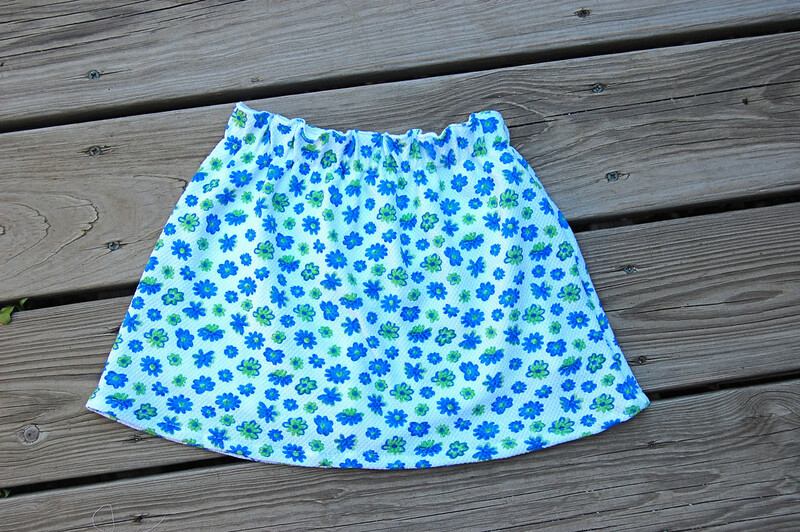 I love skorts and this tutorial will help me make bunches. Thanks for this. I used your basic idea, but added a ribbed waist band. Though, I should have used elastic as it is a bit big on my daughter. I guess better too big, she can grow into it. Thanks again. Love your site and your humorous tell-it-like-it-is-ness. Just used your tutorial to make skorts for my 4 year old. They turned out great, and I feel like a bit of a superstar. Thank you so much!! I am so glad that I found your blog! Skorts (or shortrokjes as we call them in Flemish) are hard to find in Belgium, and my 7 year old daughter just loves to wear them during summer time, especially when going on sports camp! Even sewing patterns in Europe lack this garment! So a big thank you! So if you are looking for fabric to make the shorts part with, use a large or bigger man's t-shirt. Depending on the size you need. I have used some that have only been worn once for an event. You also don't have to hem them if you lay your pattern right. I have a shorts pattern that has front and back all in one piece. 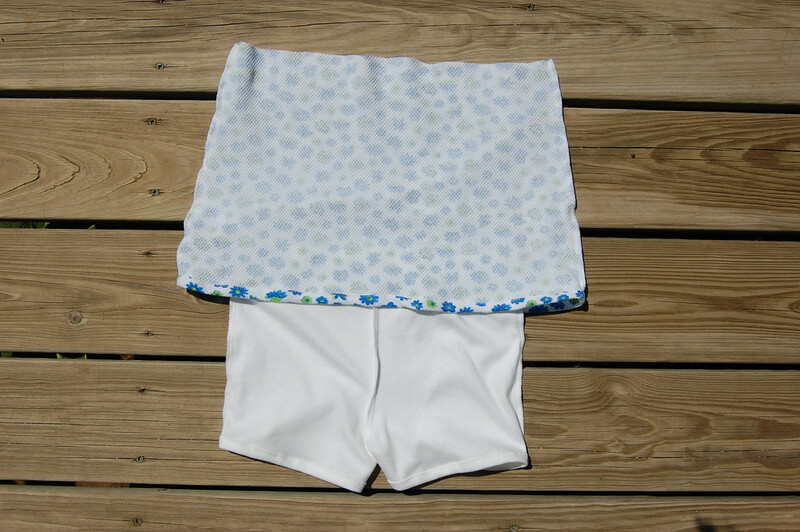 I also just use cotton cute cotton fabric with a 3 to 4 inch slit on the sides. Elastic waist. My grand-daughter loves them. I'm new to seeing and I'm a bit obsessed with it.! I couldn't wrap my mind around putting them together ! !